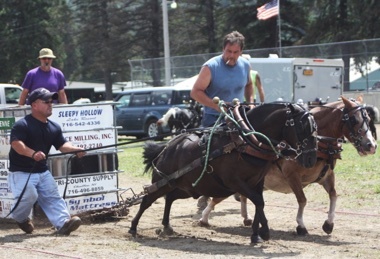 Friday nights event will be featuring the Mini Horse and Pony Pulls. 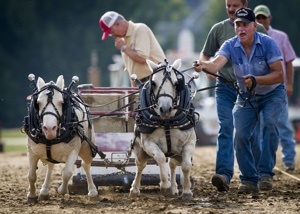 Come on down and see the biggest, yet smallest horse pull event around. These miniature horses stand up to 30 inches tall and put on one heck of a show. These mini’s, pull in teams and come from all over the map to participate and are a joy to watch. 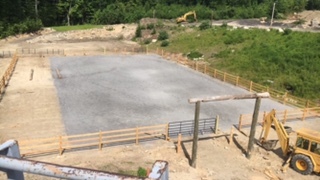 The mini horse pull is the first event to be held at the lions club new horse arena. The show will start at 5pm and will last thru the night. So join us in celebrating the grand opening of our arena. Three barrels are set in the arena in a triangular pattern. 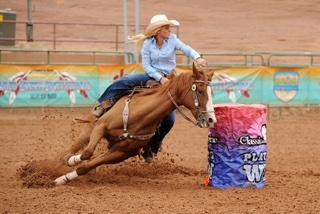 An individual horse and rider have to circle each barrel in a designated pattern and race to the finish in a timed event. 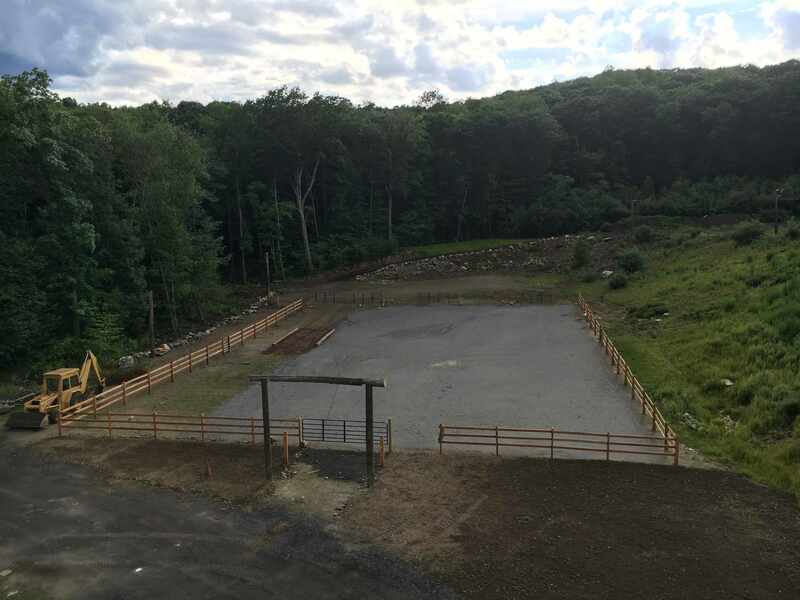 Six poles are set up in the arena, in a slalom like course, which the horse and rider navigate in a timed event. Gallop race where horse and rider dash into the arena, circle a barrel at the opposite end and dash into the finish line in a timed event. Gallop race where horse and rider speed around cones set up throughout the arena in a timed event. Horses and riders race as a team between markers, set up in the arena, wherein a baton is passed between riders in a timed event. Five poles are set up in the arena, one in each corner and one in the center. Horse and rider race around the poles, in a timed event. Combination of the dash, described above, with jumps also place in the arena in a timed event. Group event wherein the horses are ridden around the arena while music is playing. When the music stops, the riders dismount, run to tag the fence and then run to the middle of the arena to grab a marker. This is an elimination event wherein there is one fewer marker than there are riders in the competition. This continues until all but one rider is eliminated. This is a group event in which riders maneuver their horses to whatever commands are given by the announcer. Failure to have the horse respond accurately results in elimination. Timed event wherein the rider gallops the horse into the arena. The rider has a flag which the rider must place in a slot on the barrel, take another flag from the barrel and repeat the flag exchange at further barrels. Timed event. 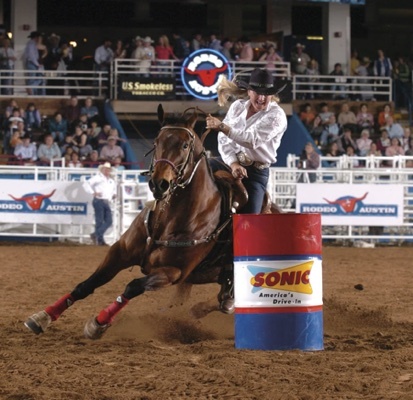 Rider races horse into the arena to a tight circle in which the rider must then turn the horse within the bounds of the circle. 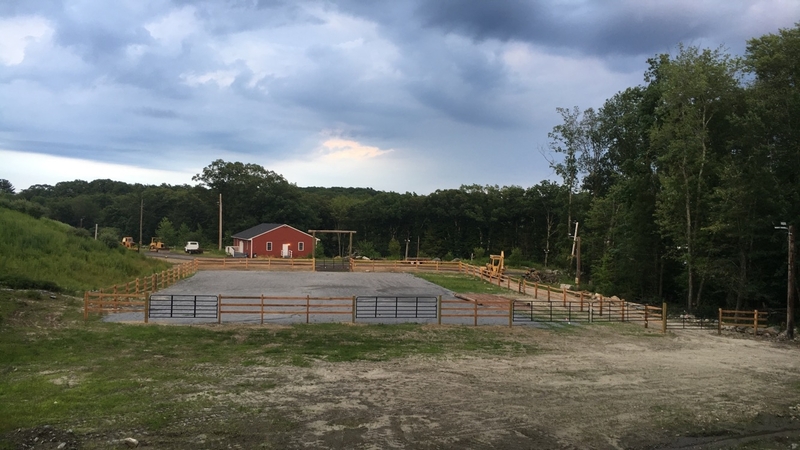 The equestrian obstacle course is an event where the rider must maneuver his/her horse through a series of obstacles that horse may naturally shy away from The rider is put to the test regarding his horsemanship skills.